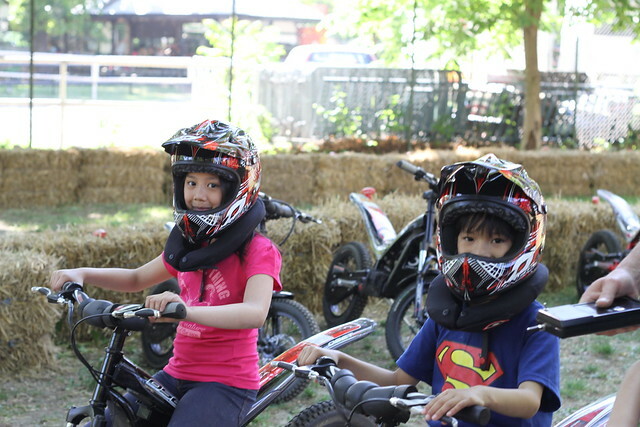 Getting ready for their first dirt biking race. 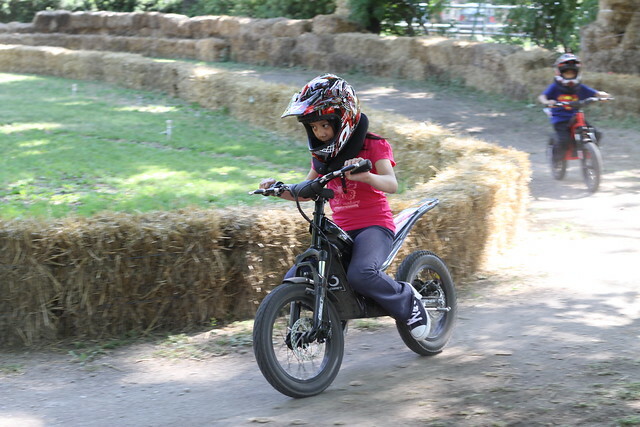 The kids got to try Mini Motocross bikes today at Vienna’s Praterstern and they were really ecstatic about it. 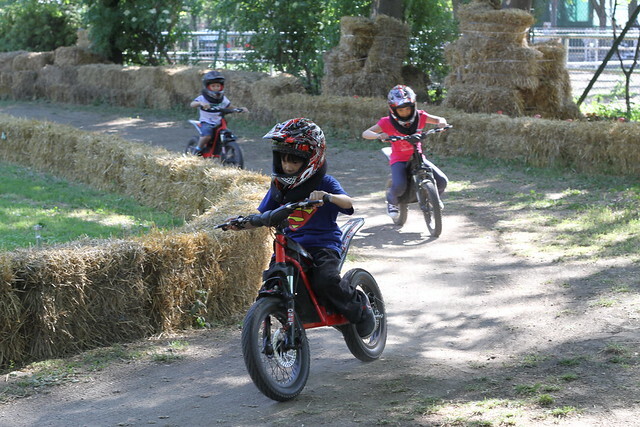 This is a great way to introduce kids to motocross racing or dirt biking…especially for families who love outdoor sports. Just like any other sport, dirt biking may involve accident and unforeseen occurrences but with proper training and gears, these can be minimized. To start off, kids should at least know how to ride a bike so that they can balance the motocross bikes…they should also be well protected. Gears as helmet, gloves, appropriate attire and footwear should be provided for. Today was a first so we were not all ready for it but the attendants had helmets and neck supports ready for those who want to participate. The race track were also safely barred with hay to obviously make impact lighter in case of falling off. Dawty ahead of the pack. Training kids into dirt biking is a also a good way to bond. It doesn’t really mean that you’re pushing them to engage in it but you’re just allowing them to explore their interests and make them experience sports and adventures that would build up confidence. Son 1 overtook the others later on. Always make it a point to remind your child that it isn’t really important to be the first to finish a track, what matters is that he or she enjoys riding. The coming in first comes later. Here’s a short video of the two at the track. You are one brave mom to allow your kids to engage in this sport! I soooo envy you! I’m such a scaredycat, I’d probably have a heart attack watching my kids do this. Hopefully, I’ll be more brave when they do reach the age when they’ll be big enough to do this. I’m sure my husband (who has a motorcycle) would enjoy doing this with the kids. Oh, and GREAT JOB KIDS!!! Looks like their having so much fun.It’s good that they are fully geared. great outdoor activity for your kids. i should be called a pushy mom for, i will let my kids try every sports activity there is. i wanna try that too.. I know how to bike but never tried dirk biking before. Seems to be more adventurous! Bikes are just the right size for the kids’ little bodies – that’s important to me if dirt biking would cross my kiddo’s mind one of these days. This must be so much fun to watch! i haven’t even ridden one of those! they are brave! i hope my kids too will be brave enough to do that.